Gluten is a composite protein contained in wheat and related grains, such as barley, rye, triticale, spelt and kamut. Composed of gliadin and glutenin, gluten provides the elasticity necessary for breads to rise and hold their shape, is used as a stabilizer in dairy products and sauces and serves as an additive for texture modification in many products. But it's estimated that between 0.5 and 1 percent of the population have Celiac Disease, an autoimmune disorder of the small intestine that occurs in genetically susceptible individuals and that results in severe reactions in response to dietary gluten. The symptoms can vary from mild fatigue, minor indigestion and anemia to acute and extreme digestive disturbances and failure to thrive due to compromised absorption of nutrients. About five times as many persons have an allergy or intolerance to gluten; their ability to eat gluten-containing foods is severely curtailed although the physical response can be less severe. For persons with Celiac Disease, avoiding gluten is a necessity. Removing gluten from the diet can be a challenge, because wheat is a staple in many diets -- which means gluten can show up everywhere, from breads to pasta, from cakes to breakfast cereals and crackers. Even beer, soy sauce and ketchup contain gluten. With symptoms triggered at the parts-per-million level, any product with even trace amounts of grain or grain-derived ingredients could contain enough of the allergen to elicit a reaction. That 1 percent of the population with celiac disease is not sufficient to account for all the attention given to gluten-free diets. A few years ago, anecdotal evidence spread suggesting gluten as a source for a host of diseases and dysfunctions, from Chronic Fatigue Syndrome to depression and even autism spectrum disorder. Although research has failed to support these theories, when you add the adventure of simply varying the diet to include other nutritious foods, the results were a considerable movement toward wheat alternatives. One of the more adventurous ingredients in this arena is the versatile—and highly nutritious—almond. "Blanched almond meals and flours have long been popular ingredients in bakery, confectionary and prepared foods, and a staple in gluten-free diets," says Robert Miltner, sales and marketing specialist for Hughson Nut Inc. (www.hughsonnut.com), Hughson, Calif. Almond flour adds a characteristic nutty taste and a healthful nutritional profile. It works well in baked goods and doesn't require sifting or kneading. "Natural almond meal [which includes the skin of the almond] contains higher levels of vitamin E, potassium, fiber and calcium, and substantially less sodium than blanched almond meal," adds Miltner. 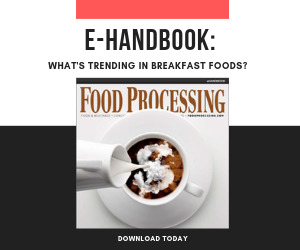 "Natural almond meal can be incorporated into recipes to increase the nutritional profile of foodservice products." While almond meals and flours can be used to replace wheat flour in some formulations, almond bran, created from the brown outer skin of an almond removed during the almond blanching process, can be used to replace wheat bran in multiple applications. Almond bran is multifunctional, acting as an antioxidant, anti-inflammatory and prebiotic component. Legumes have become very big on the gluten-free scene. Flours from peas, beans and lentils are high in protein, vitamins, minerals and nutraceutical phytochemicals. Burcon NutraScience Corp. (www.burcon.ca), Vancouver, British Columbia, developed a novel pea protein isolate from field peas, Pisum sativum. Branded "Peazazz," the ingredient contains the nutritional and functional characteristics allowing it to be applied to an extensive range of food & beverage products, including snacks and cereals. Peas typically are non-allergenic and highly environmentally sustainable. As part of the legume family, pea plants are able to capture atmospheric nitrogen and store it in root nodules, allowing producers to use less fertilizer and replenish the soil with nitrogen. The United States Potato Board (www.uspotatoes.com), Denver, Colo., has been on a campaign to "remind everyone that potatoes are and always have been gluten free." The campaign is working, too. Potato flour is seeing increased use in areas of baking. Last year, the Orthodox Union reported such a large surge in sales to the gluten-avoiding consumers of grain-free Passover foods such as cake mixes and cookies that a number of the products released this year sported new packaging declaring their gluten-free status. Potatoes are also a whole food with many features that make it an alternative to gluten-rich grains. Potatoes have a complete protein, B vitamins, and a healthy dose of potassium. Potatoes are one of the few foods that retain vitamin C when cooked and are rich in resistant starch, a soluble fiber. In many formulations, starch-rich ingredients such as potatoes, rice and tapioca (cassava root) can replace wheat. King Arthur Flours (www.kingarthurflour.com), Norwich, Vt., for example uses rice, potato and tapioca in its gluten-free pancake mix. Bob's Red Mill (www.bobsredmill.com), Milwaukie, Ore., features potato flour and potato starch, both of which can be used in gluten-free application. With a little imagination, a gluten-free diet needn't be restrictive at all.